One defense analyst recently called the increase in B-2 bomber deployments to Hawaii "China's nightmare, and something Beijing should get use to." 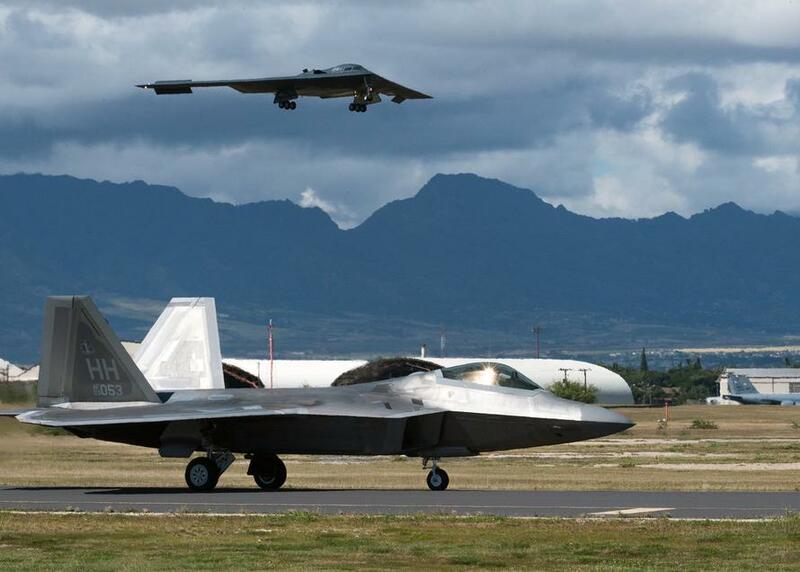 "Deploying to Hawaii enables us to showcase to a large American and international audience that the B-2 is on watch 24 hours a day, seven days a week ready to protect our country and its allies," military spokesman Lt. Col. Joshua Dorr said in a statement. Though a Pacific Air Forces Public Affairs press release did not expressly mention China, Beijing has reacted aggressively to a number of routine US long-range flyovers in the Pacific and South China Sea regions over the past year, including "close call" incidents involving Chinese intercept attempts of US vessels passing through what China claims as its own territorial waters. "Its presence in the Hawaiian Islands stands as a testament to enhanced regional security," the US military statement continued. The Air Force statement further touted the B-2's ability to "penetrate an enemy's most sophisticated defenses," as well as "put at risk their most valuable targets" due to its "low-observable, or stealth, characteristics". The statement continued, "This training is crucial to maintaining our regional interoperability. It affords us the opportunity to work with our allies in joint exercises and validates our always-ready global strike capability." Previously, B-2 bombers were operational in Guam in support of regional allies at a moment of escalating tensions between North Korea and the US in 2017 over Pyongyang's nuclear program. Crucially, though this latest deployment is being described as "routine" it is only the second time the B-2 Spirits have been sent to Hawaii, and in the largest numbers, after an initial training run in the Pacific in October. At the time Maj. Gen. Stephen Williams, the director of air and cyberspace operations at the Pacific Air Forces headquarters, noted the bombers "helped ensure a free and open Indo-Pacific" — language frequently used by US officials in response to China's condemnations of the recent uptick of American operational activity near southeast Asia. "If the U.S. warships break into Chinese waters again, I suggest that two warships should be sent: one to stop it, and another one to ram it… In our territorial waters, we won't allow US warships to create disturbance." "The US keeps meddling in China's affairs, so why can't China go to areas like Hawaii where the US is dominant," he added. Xu was referring to the frequent Freedom of Navigation Operations (FONOPs) conducted by the United States in the South China Sea. 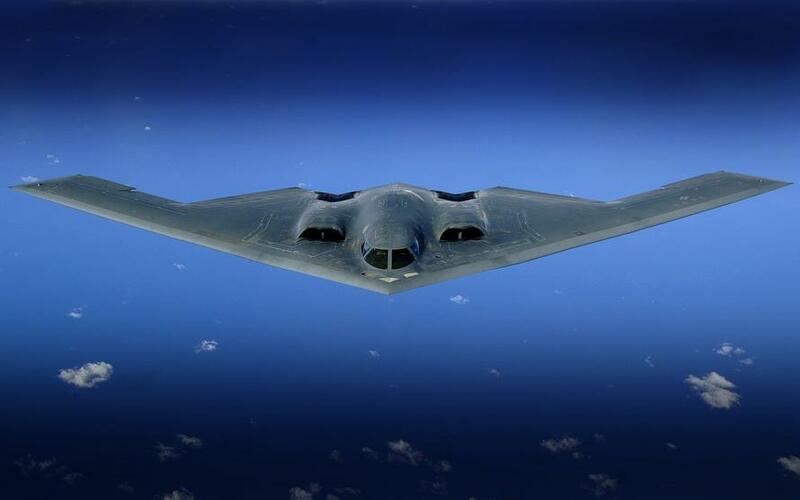 Regarding the new B-2 deployment to Hawaii, it will be interesting to see just how close the advanced nuclear-capable stealth bombers come to airspace in which Beijing has issued prior threats to US planes. Last August, for example, a US Navy P-8A Poseidon reconnaissance plane flying over the regionally disputed Spratley Islands in the South China Sea was told "Leave immediately and keep out to avoid any misunderstanding" in a series of radio communicated warnings from the Chinese military. China has also told US allied forces like the armed forces of the Philippines, "Leave immediately or you will pay". In response to the belligerent Chinese radio communications to "leave immediately" the US crew cited that the plane was conducting lawful activities over international territory. Under international law, a country's airspace is considered to be 12 nautical miles distant from the coastline of the nation. But Beijing has of late laid claim to more and more territory surrounding its controversial string of man-made artificial islands, and claiming further the skies above as sovereign Chinese airspace, which the US has refused to recognize.